Awami League on Monday demanded stern punitive judicial actions against BNP leader Ruhul Kabir Rizvi for his “audacious and deregulatory” comments on the verdict of August 21, 2004 grenade attack calling his remarks as a mockery to the assault victims. “We expect the court to expose him (Rizvi) to punitive actions on its own as his remarks tantamount contempt of court,” AL’s publicity secretary Dr Hasan Mahmud said in a press conference at the party president’s political office in Dhanmondi. He termed Rizvi’s remarks as ‘extreme falsehood” and “mockery to the August 21 grenade attack victims” while the verdict proved that the then BNP government was directly involved in the attack. The verdict has proved that the then BNP government was directly involved with the grenade attack, he added. Several central working members and office bearers of the party were present at the press conference which came a day after Rizvi, BNP’s senior joint secretary told a media briefing that Awami League itself had staged the attack on its own rally. Rizvi, at that briefing, also claimed that BNP leaders, including its fugitive acting chairman Tarique Rahman who was sentenced to life-term imprisonment, are innocent. 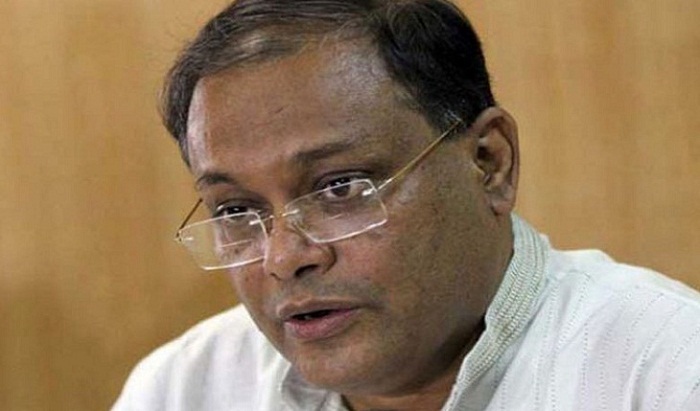 Mahmud said the attack was carried out in broad daylight but the then BNP government did not take any actions against the members of law enforcement agencies who were performing duties at the scene during the period of the attack. Mentioning his injury in the attack, he said after the attack, the wounded people and AL leaders and workers were denied to provide treatment at Dhaka Medical College Hospital and other hospitals in the city. Awami League Science and Technology Affairs Secretary Engineer Md Abdus Sobur, Youth and Sports Secretary Harunur Rashid, Health and Population Affairs Secretary Dr Rokeya Sultana, Education and Human Resource Affairs Secretary Shamsunnahar Chapa, Agriculture and Cooperative Secretary Faridunnahar Laily, Deputy Publicity Secretary Aminul Islam, Deputy Office Secretary Barrister Biplob Barua and Central Working Committee member Anwar Hossain were present at the press briefing. SRK, Salman to reunite for Dabangg 3?